Sometimes a bit of magical help might cost more than you bargained for ...London is hosting the Carnival Fantastique, and Genny's job has never been busier or more fulfilling. Only not everyone is so happy. Genny believed she'd cracked the fae's infertility curse ... but the fae are still barren. It's a devastating plight to which the mysterious Emperor may have the solution - if Genny can find him.She needs help. 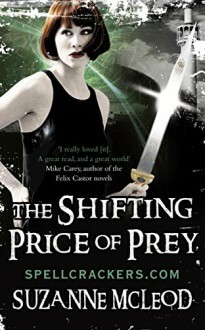 She turns to the vampire Malik al-Khan, only to find he's wrestling with his own demons and, when the police request Genny's assistance with a magical kidnap, her own problems multiply too. Is it all unconnected, or can the Emperor help her solve more than the fae's infertility? Soon Genny is hard on his trail, so it seems she'll have a chance to ask ... but will the answer cost more than she's willing to pay?